Sylvia Claudette Manterola, 83, died January 10, 2018, in Casa Grande, Arizona, surrounded by her family. Sylvia was born October 9, 1934 in Winslow, Arizona to pioneer Arizona Basque sheep ranchers, Tony and Marianne Manterola. She attended high school in Peoria, Arizona and graduated from Arizona State College (ASU) with a degree in business administration. Sylvia was also a member of Chi Omega sorority. At the young age of 22, when Sylvia's father died in 1956, Sylvia bravely assisted her mother in managing and operating the ranching business at a time when women seldom assumed such rigorous responsibilities alone. Bankers and others encouraged the two women, to "throw in the towel" and sell the outfit. The two remained steadfastly determined to succeed. Perhaps her Basque heritage of which she was so proud, contributed a degree of stubbornness and determination to the cause. Through her efforts as a managing partner and as the secretary-treasurer of Manterola Sheep Company, Inc., it endures today as one of the largest surviving sheep ranching operations in Arizona. Sylvia loved the ranch life and her family and was fiercely devoted to both. She loved spending her summers at the ranch on Garland Prairie and it was her great pride working the sheep and cattle with her beloved family. 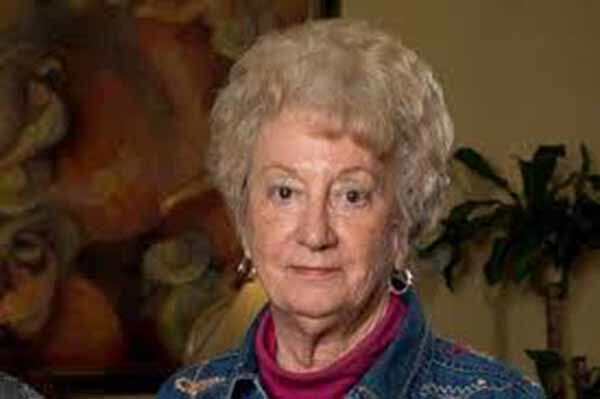 Sylvia was an active board member of the Arizona Wool Producers and Auxiliary, Pinal County Farm Bureau Board, Arizona Cattle Growers and the Catholic Daughters. Sylvia is preceded in death by her parents, Jose Antonio Manterola and Marianne Etchart Manterola and a nephew, Joe Manterola III. Sylvia is survived by sister, Carmen Auza (Joe), sister, Marie Guappone and brother, Joe Manterola. Sylvia will be dearly missed by all her nieces and nephew, Joseph Auza (Tammy), Yvette Kent, Michelle Stadelman (Rudy), AnNette Wallace (Jason) and Jodi Manterola (Luke). She is also survived by 11 great-nieces and nephews. Her family was fortunate to have been blessed by her dedication, values and work ethic. Sylvia's legacy will continue on through the many lives she has touched so greatly. A visitation will be held from 9-10 a.m. at St. Anthony of Padua Catholic Church in Casa Grande, Arizona on Wednesday, January 17, 2018. The Rosary will follow. The funeral mass will begin at 10:30 a.m. In lieu of flowers, donations may be made to St. Anthony of Padua Catholic Church, 201 North Picacho Street, Casa Grande, Arizona 85122. J. Warren Funeral Services, Cole & Maud, The Gardens Chapel is handling arrangements.